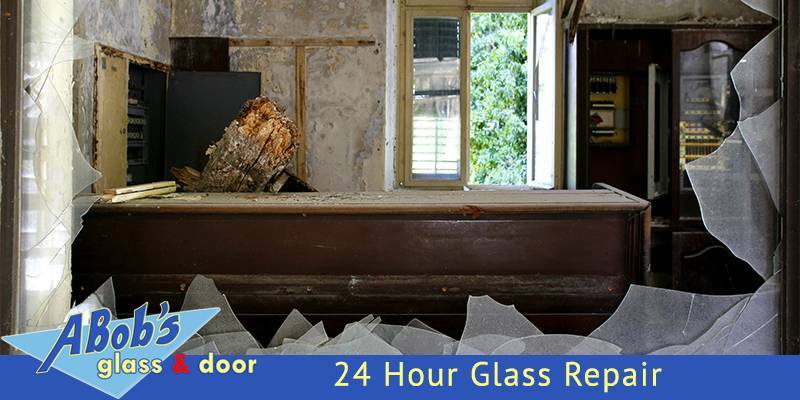 Are you looking for a 24 hour glass repair company? 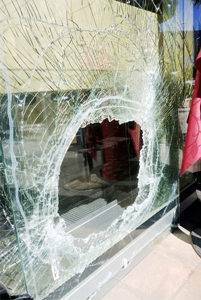 Broken or cracked glass can be a major safety hazard. Getting it fixed immediately can help you save a lot of money and ensure safety as well. If your sliding glass door or storefront door is broken, call ABob’s Glass & Door Repairs for an emergency repair. We offer 24-hour emergency glass repair and replacement services in Florida. Whether you need a new glass door installed at your business or want an old commercial door fixed, contact ABob’s Glass & Door Repairs today. We are fully licensed and insured company providing glass door installation, replacement, and repair services in Florida. We are available 24 hours a day for emergency services. When you call ABob’s for your residential or commercial glass work, we get to work right away. We provide services beyond repairing and replacing glass; our team can handle clean-up and other required temporary measures such as boarding up, covering the damage, etc. We have years of experience in the business, and we can work on a variety of buildings, from small residential properties to large production facilities. • No.1 top-rated residential and commercial glass repair service in Florida! Unpredictable weather, breakage, theft and other unfortunate emergency conditions demand prompt service. ABob’s is dedicated to delivering dependable 24/7 emergency glass repair services throughout Florida. In addition to offering regular glass door and window replacements, we are also capable of working on glazing replacement. The restoration and replacement are done on the same day you hire our services. Our staff is fast, efficient, and motivated to securing your residential or commercial property no matter what the odds are. At ABob’s, we provide 24 hour glass emergency repair for residential and commercials such as apartments, houses, storefront doors, and windows as well as offices. Our mobile technicians are always ready to fix your broken glass problems that your house, store, or office may be experiencing. From smaller problems such as broken door front, broken vinyl windows, etc. to big projects such as replacing entire window sets, entire glass doors, door closers, etc., we can handle everything professionally. We specialize in fixing home glass, from French doors to sliding glass doors to home windows. So if your house suffers an unfortunate glass event such as a break-in or an accident, call us. Businesses never stop, and clients demand nothing but perfection. 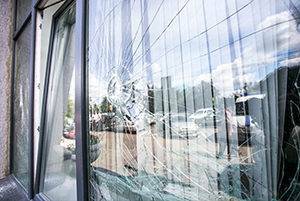 Don’t let a broken glass window or door ‘stop’ your business. At ABob’s, we are available 24 hours a day ‘on call’ for your business for commercial glass repairs. Call us today for the best emergency commercial glass repair and replacement service.